Where is the pistol that Bhagat Singh used to kill the British police officer? A new book traces how I searched for Bhagat Singh’s pistol in Punjab and Madhya Pradesh. It is now on display at the BSF museum, Hussainiwala. 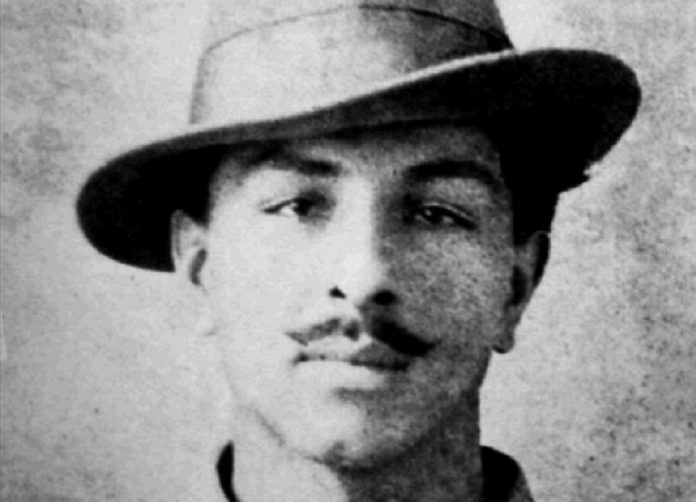 Where is the pistol that Bhagat Singh used to kill British police officer J.P. Saunders at Lahore on 17 December 1928? No one knew the answer to this question for 86 years, until I discovered the weapon and brought it out from oblivion in November 2016. Writing this 86-year-long journey of the pistol was actually the journey of a writer to know and have some understanding of the great martyr. The journey has taken the shape of a book now. The book, ‘Discovery of Bhagat Singh’s Pistol’, will be released this Baisakhi (April 2018, Gyan Publishers). I must confess that before embarking on the journey to trace his missing pistol, I had this wrong belief that I knew everything about the martyr. There is so much about him, so many layers, that it seems one lifetime is too less to comprehend the extent of his intellect, his political insights, his theory of freedom, revolution, patriotism, and his steely determination to make the supreme sacrifice. And, above all, I feel sheer wonder and awe at the list of the many books by diverse writers, hailing from different countries, that he read in such a short span of life. Like millions of Indians, I wonder if India would have been a better nation if he had lived longer. This was my search for the iconic pistol used in the ‘Lahore conspiracy’ case that eventually resulted in the hanging of Bhagat Singh, Rajguru and Sukhdev. But for almost half a century, it remained in oblivion, away from public attention — as a part of a collection of 294 relics at the Border Security Force’s Central School of Weapons and Tactics in Madhya Pradesh. 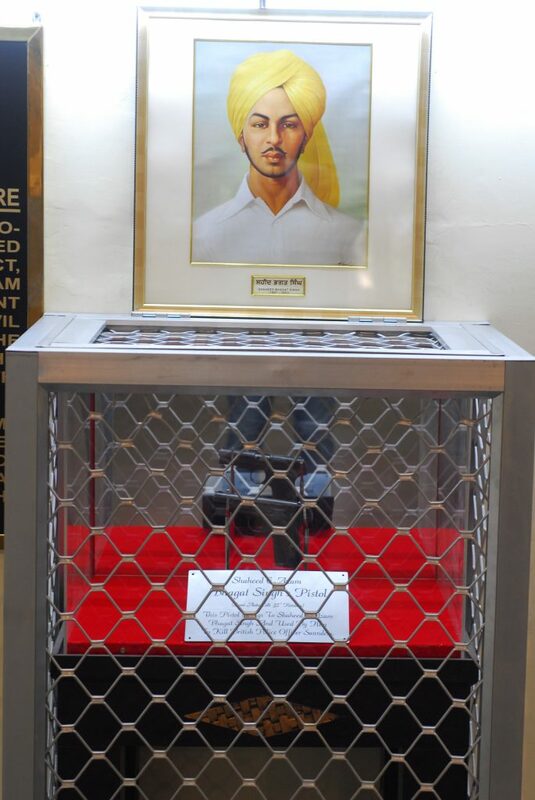 After the hanging of Bhagat Singh, Rajguru and Sukhdev on 23 March 1931, the pistol and other case property was handed over to Lahore police for safekeeping. The judge ordered the pistol to be kept at the fire arms bureau of the police training school (now academy) at Phillaur in Jalandhar district. The US-made .32 colt was last seen there. For long, it was believed to have been lost or smuggled out of either India or Pakistan. Many researchers looked for it in Lahore and Phillaur, but could not find any clue. I searched for it as well, in 2005-06, but failed. In September 2016, some news reports talked about the great martyr’s missing relics. One of the relics was the pistol. The report mentioned its number, 168896, and make. This was an important clue that helped me unearth many related documents, and took me to Phillaur, Amritsar, Delhi and Indore in search of the pistol. At the time, there was no photograph of the pistol available in the public domain. In fact, when the details of my investigations (published in The Tribune) were revealed to the BSF, it led to another mystery. In the BSF collection, all the weapons had been painted black, to help preserve them. After a lot of insistence and persuasion, the paint was peeled off to find Bhagat Singh’s original pistol. Fortunately, the third pistol we peeled the paint off turned out to be the one we were looking for. Punjab’s police and culture departments requested the BSF to return the pistol to them so they could display it. A local lawyer moved a PIL for its return. Of course, now the pistol is their prize display at a museum, and crowds of curious visitors queue up daily for a glimpse at the weapon that is an integral part of our freedom movement. Even the pen used by the judge who wrote Bhagat Singh’s death sentence is also on display at the museum. Among the relics, the pistol now has a sort of cult status. The discovery of the pistol was important, from both a journalistic point of view as well as historical. Indians are often accused of having no sense of history and its preservation. Investigative journalism is widely seen as a tool to expose scams in the government. It is rarely seen as a tool that can serve historical knowledge. The book is not a glorification of his violent act, but of the idealism and wisdom of a 23-year-old. He left not just an ideology but a road map for the youth to follow for a society free of the slavery of religion, not tethered to any caste or class. The pistol is a symbol of Bhagat Singh’s idea of revolution. Jupinderjit Singh is the author of the book ‘Years later… on Facebook’, and co-author of ‘Justice for Jassi’. He is the special correspondent for The Tribune.